Female leaders turn talk into action to solve problems in the ad biz and beyond. As a women in advertising – and most industries for that matter – chances at success aren’t offered up platters. You have to seek them out. And often, you have to even create them for yourself. Most of us know this, because we talk about it. A lot. But there haven’t been enough opportunities to do something about it. So, I and a handful of female leaders in advertising with a heart for community and action wanted to do our part to change that. 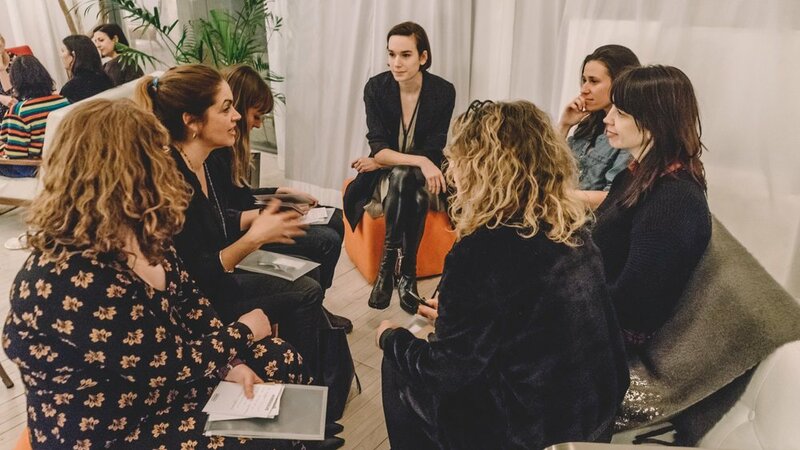 We formed The Broad Exchange - a curated community of female leaders in creative and communication industries with strong desires to root in real human connection and use our collective skills to create growth and positive impact. Our goal is to encourage a meaningful exchange of ideas around the things that affect us and turn it into action – like we did with our I RESOLVE project. In the last couple of years, we’ve developed a tight network of over 2000 people from NYC to LA and a few spot around the globe, with skills in everything from creative direction and production to music composing and publishing. We aim to highlight our members and their skills through content – much of which members help create – and empower them to identify actionable steps that can be taken to help create more chances at success for all of us. You can read more about the group and follow our activity on social media at www.TheBroadExchance.com.